Are you a Media Phobe, Media Addict or Balanced Mic? See our Balanced Mic Scale and score yourself! The Balanced Mic© puts executives through the paces and demonstrates why it is not in an organization’s best interest for a spokesperson to be too afraid of the media or too comfortable with them. 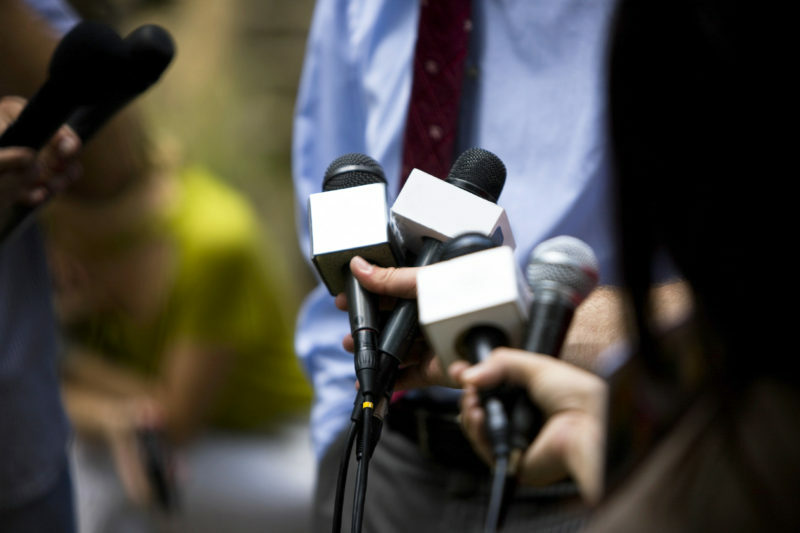 A “Balanced Mic” understands the risks and benefits of prepared interactions with the media and is willing to continuously improve his or her skills. Using our unique Balanced Mic Scale, seminar participants can quickly identify themselves and others they work with on the scale, opening the door for insightful discussions and opportunities for improvement. Our half-day, full-day and multiple-day programs provide insights on how the media works, how to prepare for even the toughest interview, and how to create and incorporate the brand’s key messages into every sound bite. How many times have you left a social situation wondering what you had accomplished by being there, other than adding to your waistline? There are tried and true techniques for building relationships and cultivating better business opportunities through business meetings, dinners, and special events. From Cocktails to Customers provides insights into the art of casual conversation, helps participants work a room, read people and determine how and when to take the next step. Participants will learn how to avoid common pitfalls so they can begin leveraging more productive relationships. Facilitated by communication coach Nancy Wiser, From Cocktails to Customers is a lighthearted, yet highly informative interpersonal communication refresher course for those who want to achieve more. This refreshing seminar provides employees with greater insights into how their interactions affect them, customers and others. They will gain new tools they can use in difficult situations and learn how to watch for the “spiral of anger” that can wreak havoc on any business. Participants will gain confidence in their interpersonal communication skills. It takes a previous cycle theory and turns it up a notch. Each episode of anger forms a loop. As the anger is not properly addressed, the subsequent loop becomes larger. The final result is a build-up of anger that can explode like a tornado through a company’s organization. It demonstrates why one or two approaches to marketing healthcare services usually are not adequate in today’s complex systems. It shows the many points at which various publics involved in the healthcare process make decisions. At each of these decision points, the institution can lose customers if it has not captured the preference of the decision-maker. It grew out of the observation that smart influencers quietly built support for their issues while others were not paying attention. By the time others noticed the issue, these groups had built sizeable support (a mammoth snowball) and had it positioned (at the top of the hill) to gain momentum and roll of its own volition through the approval process. It provides a mechanism for listing and ranking the influence of various publics on an issue. The scores are then plotted onto a quadrant, which helps practitioners develop messages and, most importantly, prioritize target audiences. It explains why one or two communication channels (such as publicity or advertising) are rarely enough in today’s complex communication environment. It involves the concept of having a well-rounded communication program to reach target audiences “every time they turn around.” It positions public relations as a key player in strategic planning and communications.